In an exclusive interview with People Matters, Kathleen talks about the changing skills landscape, building a culture of continuous learning and the role of knowledge management professionals. 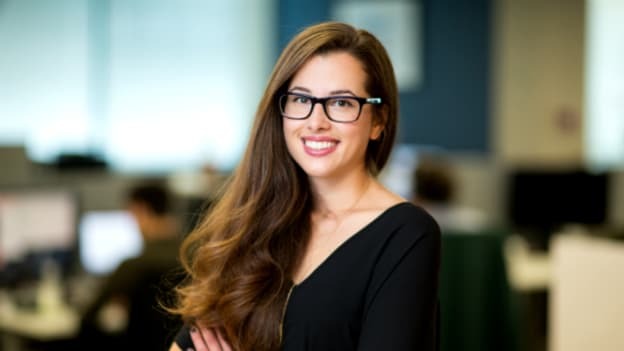 Kathleen Mullaney is one of the earliest employees at Udacity. As Vice President of Careers at Udacity, she helps Nanodegree graduates find jobs. She has played a central role in building both courses and student community in collaboration with industry partners and internal teams. There has been a rise in demand for IT skills involving AI and Blockchain technology recently. What are your observations on the demand for jobs using these technologies? This rise in demand is expected. AI technology has of course been around for decades, but only in recent years have we had enough data to train AIs and open projects where we are sharing learnings and accelerating progress within the industry. Blockchain, similarly, is gaining traction in tandem with concerns around digital security. The more information, especially sensitive information like financial and health records, we put on the web, the more we will need to find ways to secure it. Because of the quick rise, there is a natural lag in the talent available to drive use of these technologies in corporations. While this has always been the case because technologies are developed and adapted more and more quickly, it feels larger and also compounds-- for any given company, they are looking at gaps in talent for data, digital marketing, and now on top of that AI and Blockchain. Businesses are rushing to figure out different ways in which they can use AI and Blockchain to become more effective and so are on the lookout for new talent and also ways to upskill their existing talent. The available talent pool is not going to be enough to keep up with the demand from companies– news reports estimate a 50-60% increase in demand for AI and robotics professionals, while industry data from recruitment companies suggests that there are only half as many Blockchain professionals as there are job opportunities. There needs to be greater supply, which drove us at Udacity to build a Blockchain Nanodegree program to complement our wide portfolio of courses. Nanodegree programs are designed in concert with top technology companies in the world with a view towards imparting practical and relevant learning to the candidates producing job-ready candidates. For the supply-demand gap to be bridged, all workers--from interns to seasoned professionals--will need to adopt a growth mindset and become lifelong learners. Work will continue to evolve along with technology thus job roles will, too. Jobs is a big focus area for Udacity. The company supports Nanodegree graduates with projects, training to tackle interviews and negotiating salaries. This is not a conventional job of an e-learning service provider. Why do you think it is important? Our mission is to “democratize education” – that’s a very broad mission, how do you actually interpret that? Information already exists on the internet and you can learn whatever you want for free. The reason why we’re focusing on jobs is that if you want to democratize education, you need to show people how to use what they learned in their lives. If you have new skills, you want to be able to share with it with the world in some way. And you can actually use those skills to find better opportunities. If individuals are able to take what they learn at Udacity and actually earn more money, that material change that we’ve helped them in their life. So that’s part of our education, which is we want people to use their education to innovate themselves. More tactically, having a job to earn more and have a career that you’re excited about, and you wake up every morning excited to go to work, that’s a great motivation to finishing your program right? The ‘Future of work’ is a growing concern for employers and leaders in today's economy. In the context of killing, what do you think companies are doing right and what do they need to focus on? Some companies--like Infosys, Myntra, Wipro, and Flipkart--have been working with us to upskill their employees in AI, data science, and automation, particularly with self-driving car technologies. Other companies are working with their own Knowledge Management teams to upskill their workforce. However, these companies are the exceptions. It gives them a first-mover advantage while remaining companies are still working to understand the nature of the problem. Growing concern indicates attention, which is good, as it will increase awareness across industries. Engagement and solution development will soon follow. The right thing to do is simple but can have a profound impact on a company and its operations. Often there are employees looking at using new technologies. They will have ideas on how to incorporate emerging technology into current work. There is also a need for leaders, such as a CEO, CTO, or division head, to engage in learning about these technologies to figure out where AI, automation, and Blockchain could ideally be deployed for optimal utilization. Then, when they evaluate their workforce to see whose skills are relevant, they can identify the sections of their workforce which need upskilling or future new talent will need to be recruited and plan accordingly. Knowledge and Talent Management teams then have clear goals for their work and can find training providers and talent sources. Companies will need a mix of internal and external trainers and talent sources to cover the broad and specialized technologies and entering into a partnership with players in the future-ready reskilling domain would help them substitute their experience and knowledge to accomplish much of this complex exercise. How do you at Udacity encourage a culture of continuous learning among your employees? Employees at Udacity take on Nano degree programs all the time. And we have internal competitions to support that. It involves not only taking the program but also reporting bugs and the opportunity to improve the platform – so it’s a full circle. We have a benefit around education reimbursement so any employee can not only take on Nanodegrees but they can engage in learning outside of the company and have it reimbursed. So we have people who take Udacity online Masters on Computer Science with Georgia Tech and we pay for the entire program. We have employees who do workshops and attend conferences. We also encourage internal mobility – so you have opportunities to work on stretch projects in order to build your own skillsets. So it’s not only learning but also opportunities for professional development. One of the key challenges in e-learning is adoption. There is a high drop rate associated with it. How do you tackle this problem? All our Nano degrees focus on engagement. There is a mentorship program with project reviews, one-to-one coaching and a dedicated community of your peer learning group. So there are a set of incentives for learners to come back and learn more. What is your one advice you have for Learning and Development leaders? One of the pedagogical focus areas in Udacity is Mastery learning. It does away with a concept of passing with a low grade, so the minimum bar requires you to do the work or you wouldn’t move forward. So for L&D leaders, it would be important to identify learning programs that give the learner the space to learn as well as the support (in case they are stuck) because it is hard to learn on your own.